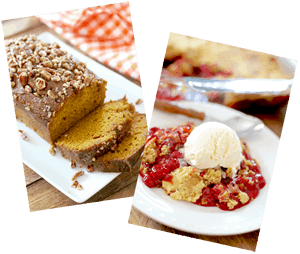 I think my most favorite recipes to share here on the Country Cook are dessert recipes. And if you’ve followed this website for a while, you’ve probably noticed. 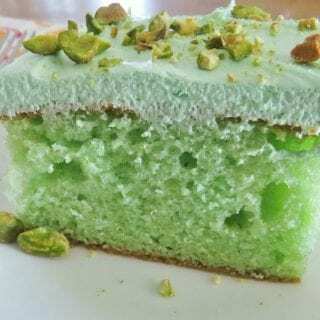 And I especially love when I can share an easy dessert. I’m sure I’ve mentioned it before but it’s worth repeating again. I’m not the most patient cook/baker. And I’m definitely not the neatest. Everyone in my house knows when Momma has been in the kitchen. So after making a mess in my kitchen just trying to make supper, I like it when I can still make a dessert but not pile up a bunch of dishes or exhaust myself in the process. 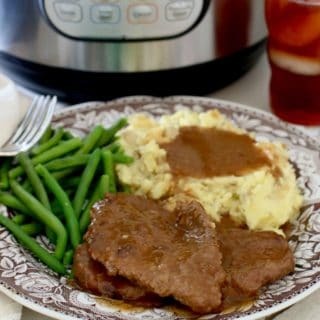 This will look like it took you all kinds of time to whip up, but a few shortcuts make all the difference. 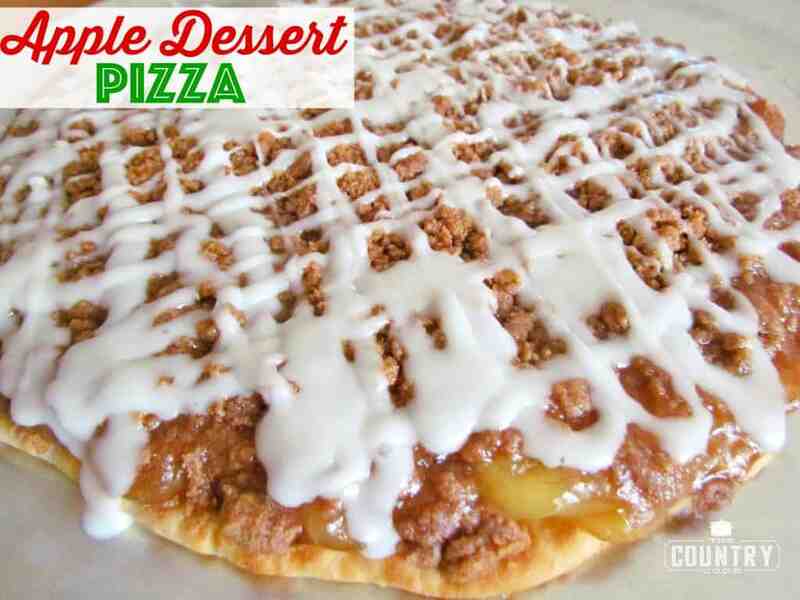 I’m using apple pie filling for this particular recipe but the beauty of this dessert pizza is how many options you have. 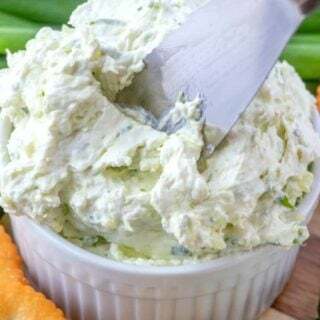 You’re only limited to the number of canned pie fillings you can find. Blueberry, Blackberry, Lemon, Cherry, Strawberry, Peach…you name it. The only small change you would make would be in the crumb topping. 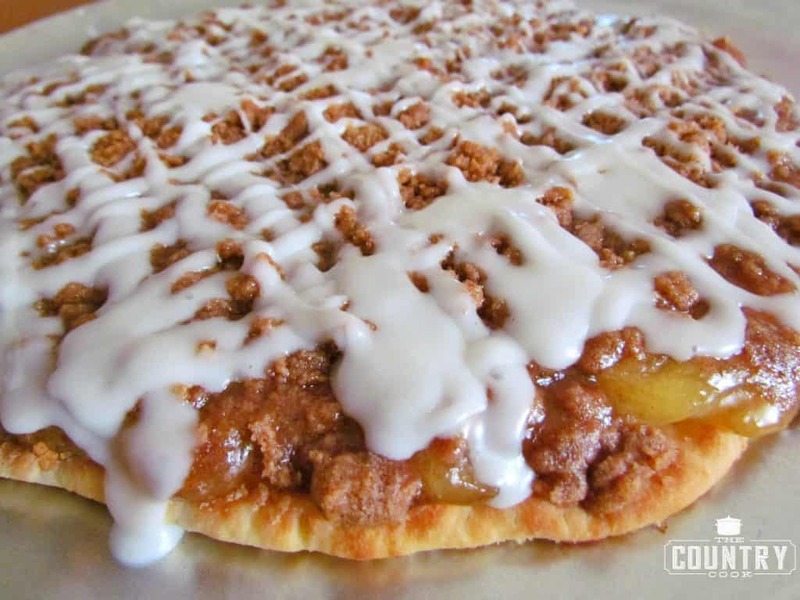 For this apple dessert pizza, I add ground cinnamon to the crumb topping. I probably wouldn’t use the cinnamon with any other pie fillings except for maybe the peach. And with the peach I would cut back the cinnamon to only a teaspoon. 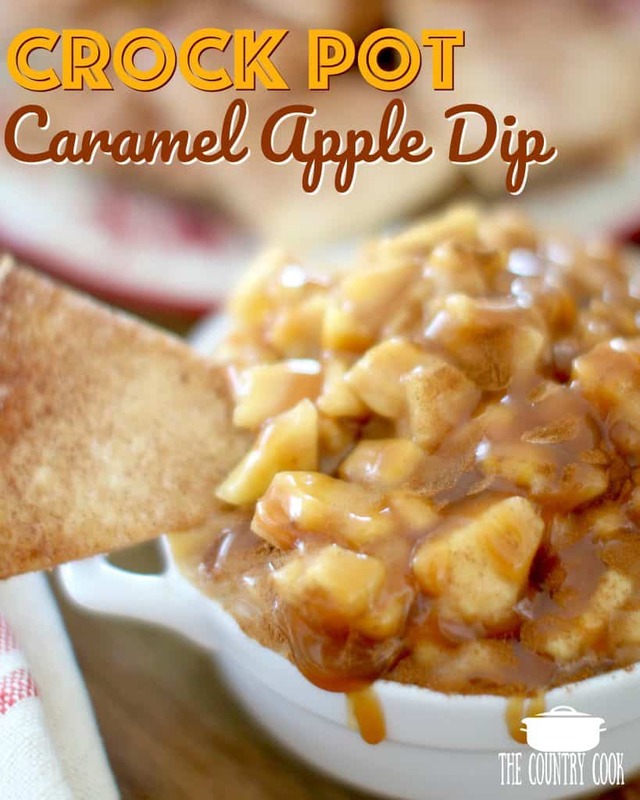 I absolutely love cinnamon with apple but you can certainly make it to the taste that your family loves. Preheat oven to 350F degrees. 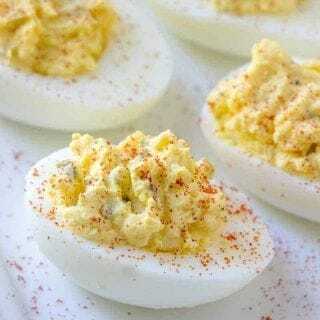 Take crust out of package and place on round baking sheet. Now it’s time to stab the apples. 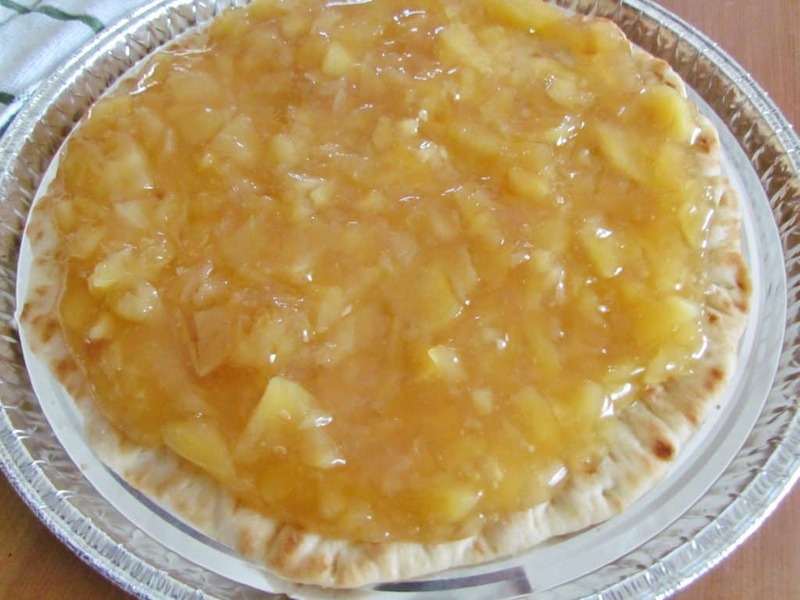 Open your can of pie filling and get in there with a sharp knife and pull the knife back and forth across the apples. 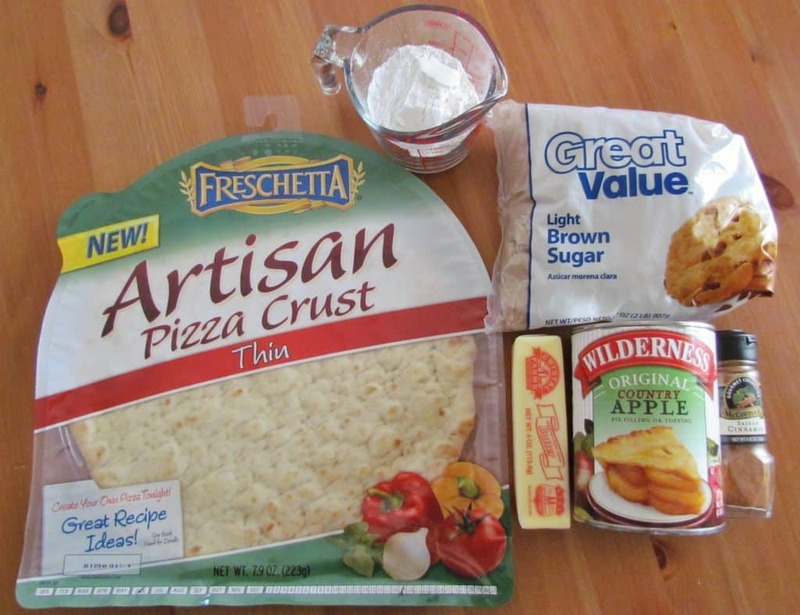 This will chop them up and give you more apple filling across your whole pizza. I do this a lot with canned apples, remember those Easy Apple Danishes? 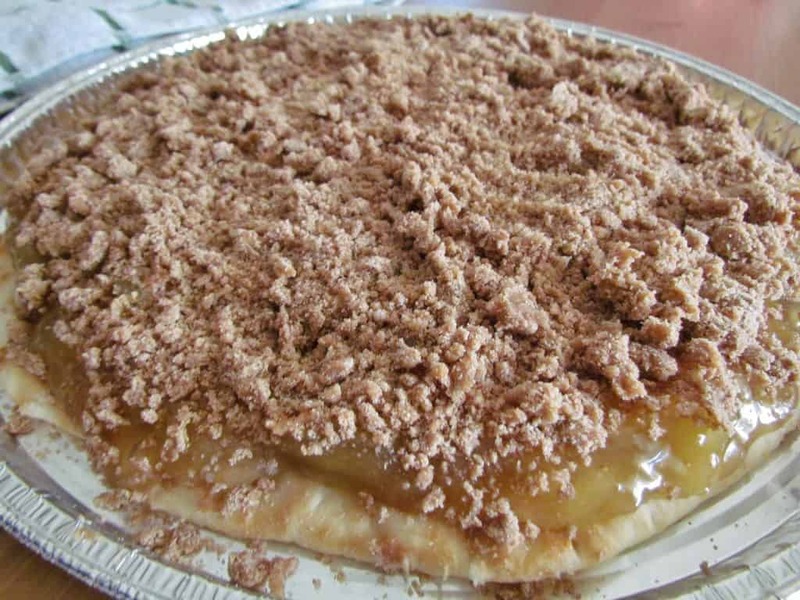 Spread the apple pie filling evenly on the pizza crust. Now, to make the crumb topping. 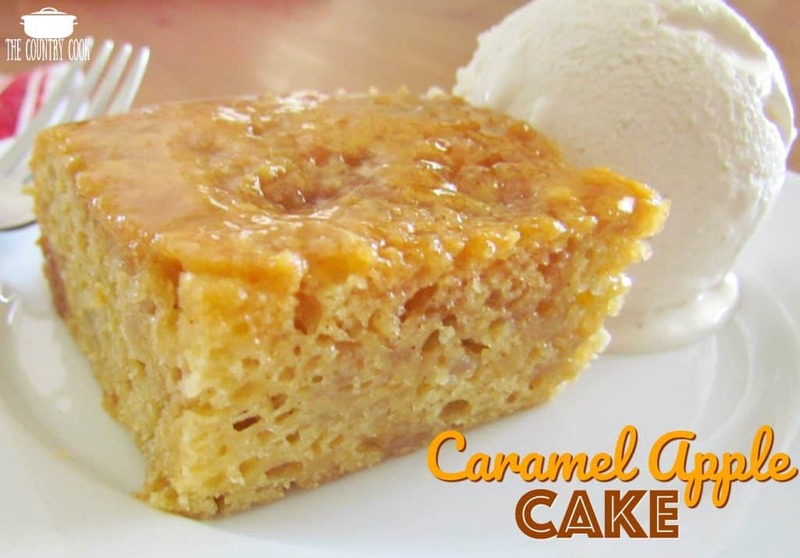 In a bowl, combine softened butter, brown sugar, flour and cinnamon. You can use a fork, a pastry cutter or your hands to do this. 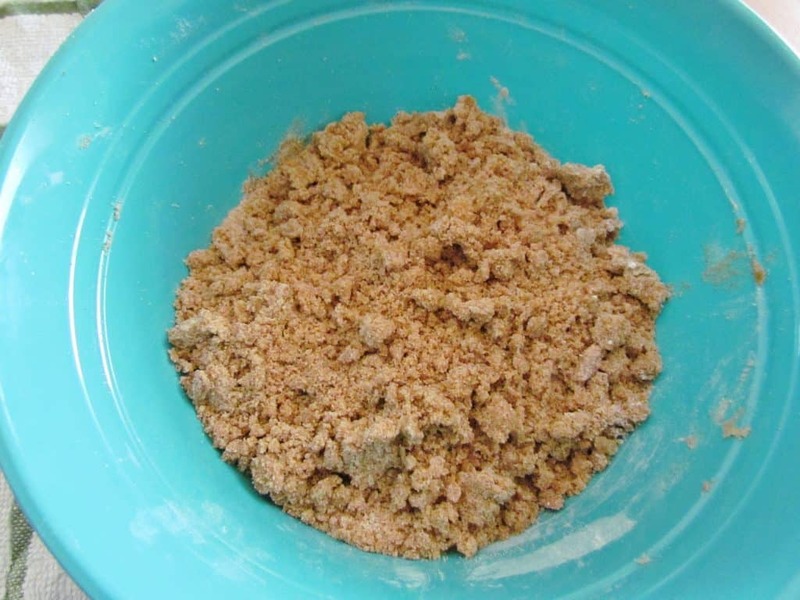 You want the butter to be evenly distributed and the mixture should look nice and crumbly. 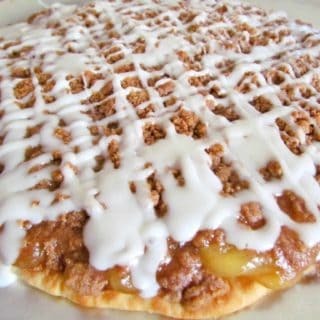 Sprinkle the crumb topping all over the apple filling. 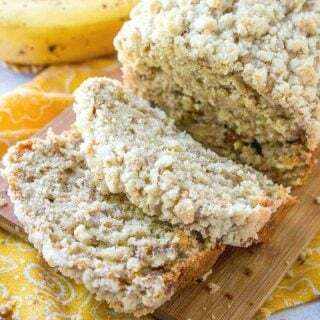 Bake for about 25-30 minutes, until heated through and crumb topping is slightly browned. While pizza is cooling, start making the icing. 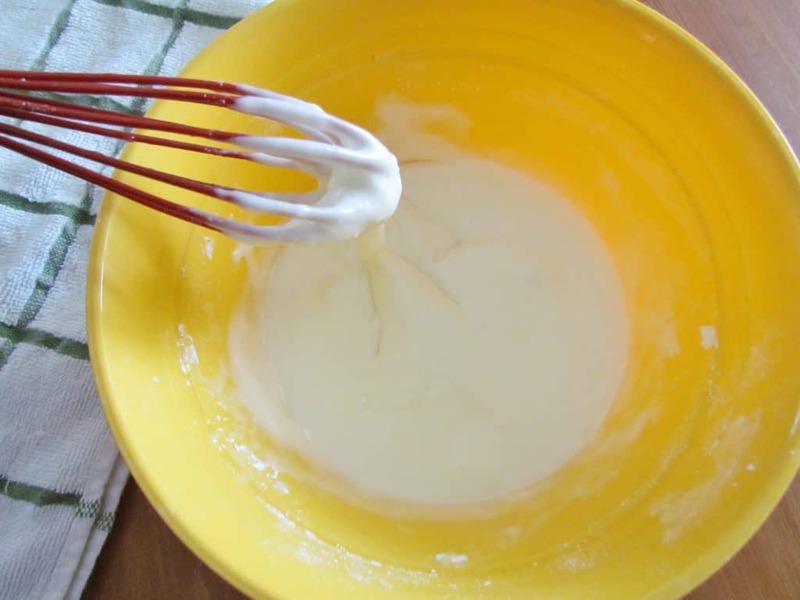 Whisk together powdered sugar and milk. Add milk slowly until you get the consistency you like. Drizzle icing all across pizza. I usually make a bunch of lines one way, then turn it around and make some more lines the other way. Whatever strikes your fancy. You’ll probably have a little icing leftover. We save that and my husband likes to add a bit more icing to his individual slices. Using a sharp pizza cutter, slice up your pizza and serve! Take crust out of package and place on round baking sheet. 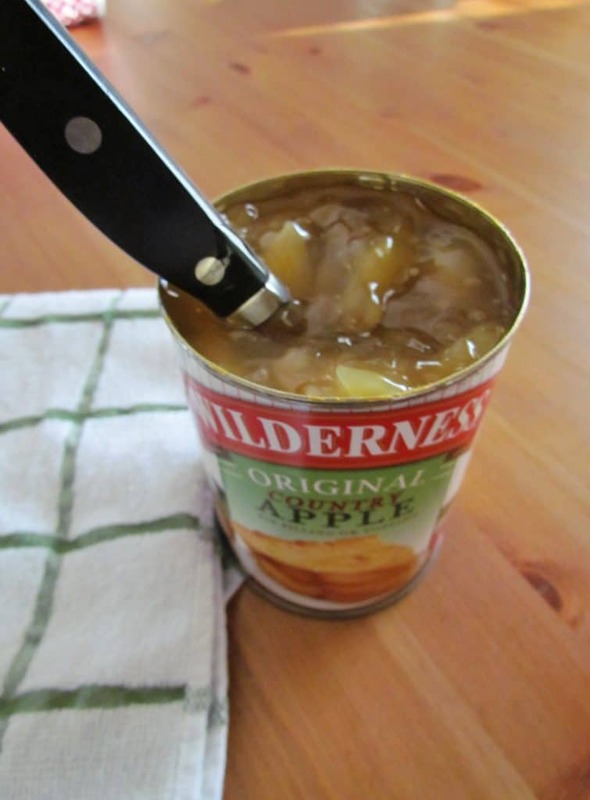 Open your can of pie filling and get in there with a sharp knife and pull the knife back and forth across the apples. This will chop them up and give you more apple filling across your whole pizza. 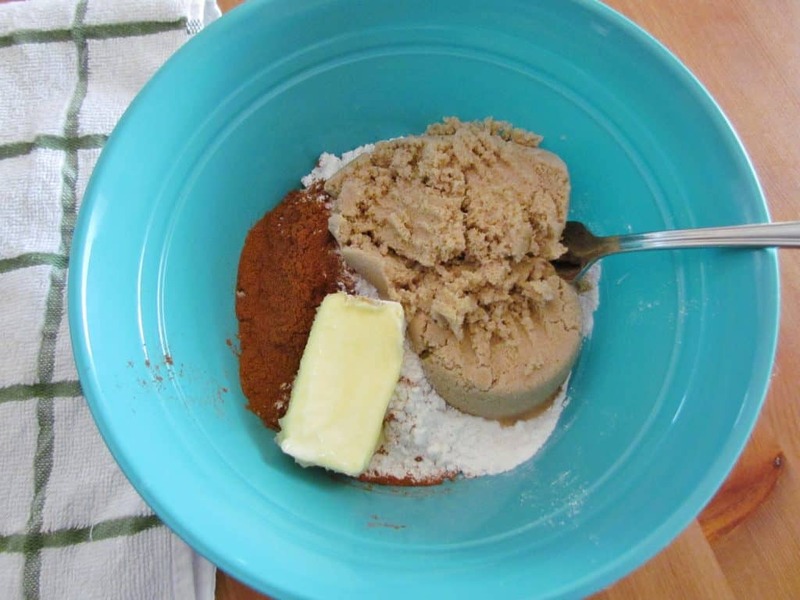 In a bowl, combine softened butter, brown sugar, flour and cinnamon until crumbly. You can use a fork, a pastry cutter or your hands to do this. Bake for about 25-30 minutes, until heated through and crumb topping is slightly browned. While pizza is cooling, start making the icing. Whisk together powdered sugar and milk. Add milk slowly until you get the consistency you like. Drizzle icing all across pizza. 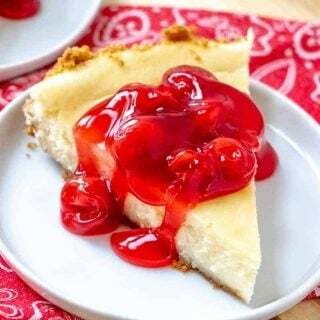 Fixing to make them tonight, Having dinner at my daughters tomorrow, I am supplying the dessert I am sure they will turn out great. I’m sure they will be well loved. Enjoy!